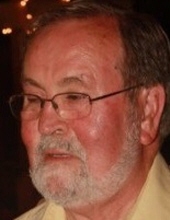 Raymond E. “Ray” Morris, 80, of Newberry, died on Sunday morning, April 14, 2019 at his residence. Born on June 14, 1938 in Newberry, Raymond was a son of the late Luther E. and Allie Mae Miller Morris. He was a U.S. Air Force veteran and was retired from Monsanto. Raymond was a member of Bethany Lutheran Church and the Lutheran Men in Mission. He was gifted with a great sense of humor and loved joking with others and having a “cool one” with friends. He was also the “coffee man” at the former Buddy’s Open Air Market. He was also a giver. He kept quarters to share with children he met but his giving went beyond the children. He would give anything he had to others who needed his help. Until the bitter end, he preserved his pleasant and encouraging attitude. When asked how he was feeling, his response was always “wonderful”, even in his final days. Raymond was a dedicated family man who loved all of his family, especially his grandchildren and great grandchildren. Survivors include his wife of 59 years, Faye Pollard Morris; daughters and their spouses, Jodi M. Garrett and Scott of Greenville and Candice M. Lominick and Robbie of Newberry; grandchildren, Josh Garrett, Ashley Garrett and Sam Lominick; great grandchildren, Will and Walker Ray Garrett; and a special friend, Ricky Long and his wife, Gwen. In addition to his parents, he was predeceased by siblings, James E. Morris and Clara M Connelly and a special niece, Kim Pollard. Funeral services will be held at 3:00 PM Wednesday, April 17, 2019 at Bethany Lutheran Church conducted by the Rev. Dr. Robert McCollum. Interment will follow in the Springdale section of Rosemont Cemetery. The family will receive friends on Tuesday, April 16, from 5:30 until 7:30 PM at the Whitaker Funeral Home, 1704 College St., Newberry, SC. Pallbearers will be Miller Jacobs, Danny Rawl, Chad Brown, Keith Brown, Tim Smallwood, Jamie Young, and Brent Long. Memories and condolences may be shared with the family at www.whitakerfuneralhome.com. Whitaker Funeral Home of Newberry is assisting the family. "Email Address" would like to share the life celebration of Raymond E. "Ray" Morris. Click on the "link" to go to share a favorite memory or leave a condolence message for the family.